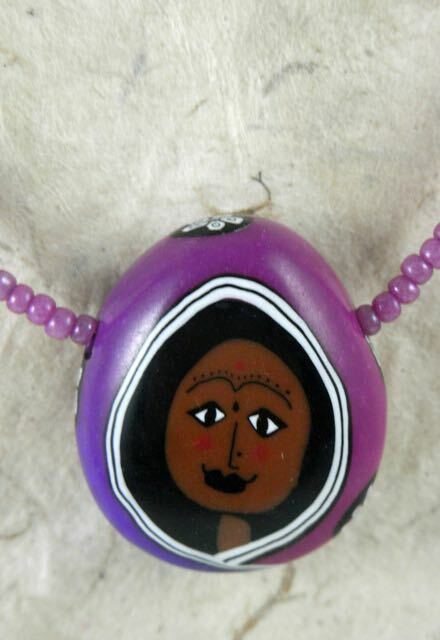 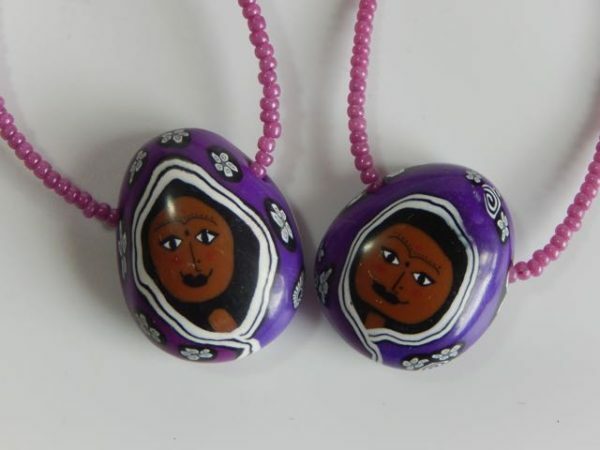 This hand made bahini (little sister) bead comes in a variety of designs. 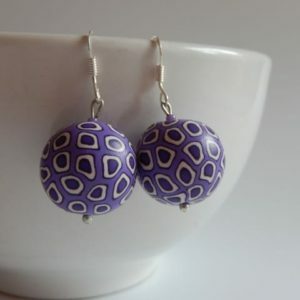 Yours may be slightly different to the one pictured but it will be in magenta and violet tones and strung on magenta seed beads. 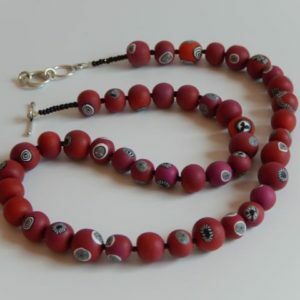 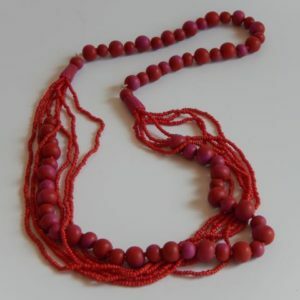 The necklace is approx 46cm long and finished with a traditional small S-clasp.